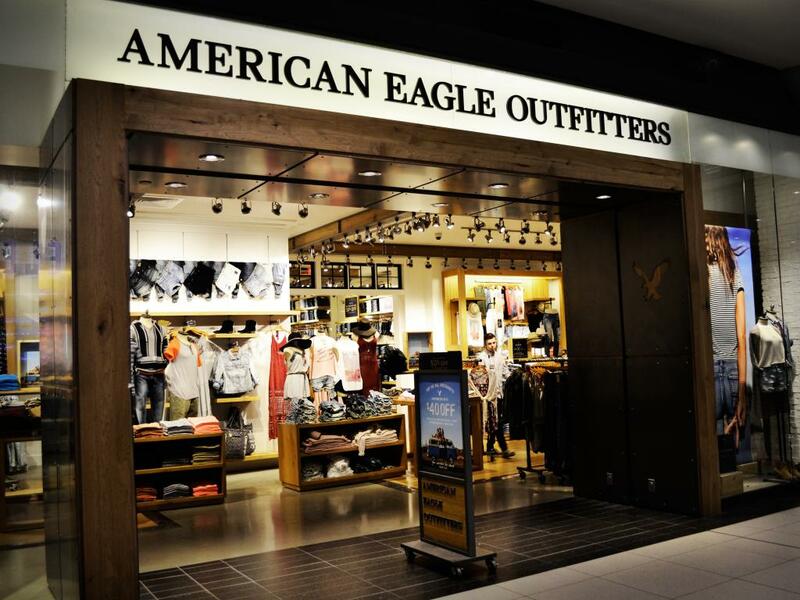 American Eagle Outfitters (NYSE: AEO) reported better-than-expected fourth-quarter earnings, but the stock fell after fourth-quarter revenue and first-quarter profit guidance missing consensus expectations. Fourth-quarter earnings of 43 cents per share were down 17.3 percent from a year ago, but beat analyst expectations of 42 cents. Revenue was up 1.2 percent to $1.244, slightly below analyst expectations of $1.26 billion. Same-store sales were up 6 percent. Looking ahead, American Eagle guided for first-quarter profit of between 19 cents and 21 cents per share, shy of analyst expectations of 24 cents. Several analysts have weighed in on American Eagle following the report. Here’s a sampling of what they’ve had to say. Bank of America analyst David Buckley said decelerating same-store sales could be a headwind for profit growth in 2019. “As the AE brand still accounts for 80%- 85% of sales, a low single digit AE brand comp could make it challenging for the total company to generate mid-single digit comp growth,” Buckley wrote in a note. Bank of America projects fiscal 2019 same-store sales growth of just 3 percent, and its full-year EPS estimate of $1.50 is below Wall Street consensus by about 15 percent. Wedbush analyst Jen Redding said healthy markdown trends in the fourth quarter are a bullish sign for the spring shopping season. She said investors should be looking to buy the earnings dip. “For shares of a quality retailer with high brand equity to trade at discount of 9% to their 5-year historical P/E is a bargain, even considering a late but better-than-expected Spring Season ahead,” Redding wrote. 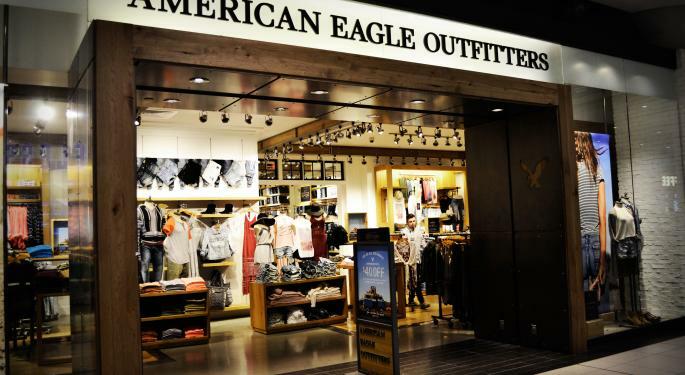 RBC analyst Kate Fitzsimons said in-store and direct sales were strong in the fourth quarter, and improvements in markdowns suggest American Eagle’s core business fundamentals are strong. “With +MSD top line in 2019 (+LSD comps and +LSD footage) and opex leverage in 2Q-4Q, AEO's valuation appears reasonable for a base case +HSD EPS grower, especially considering a 1-2x boost from aerie as its growth steps up in 2019,” Fitzsimons wrote. She said the soft guidance is a reflection of broad weakness in the mall retail industry to start the year, but American Eagle continues to gain market share from competitors. Bank of America has an Underperform rating and $16 target. 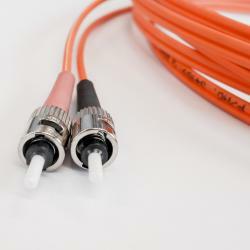 Wedbush has an Outperform rating and $25 target. RBC has an Outperform rating and $24 target. The stock traded around $20.80 per share at time of publication, down 2.6 percent.